I went to my hometown of Youngstown, Ohio for the Labor Day weekend. 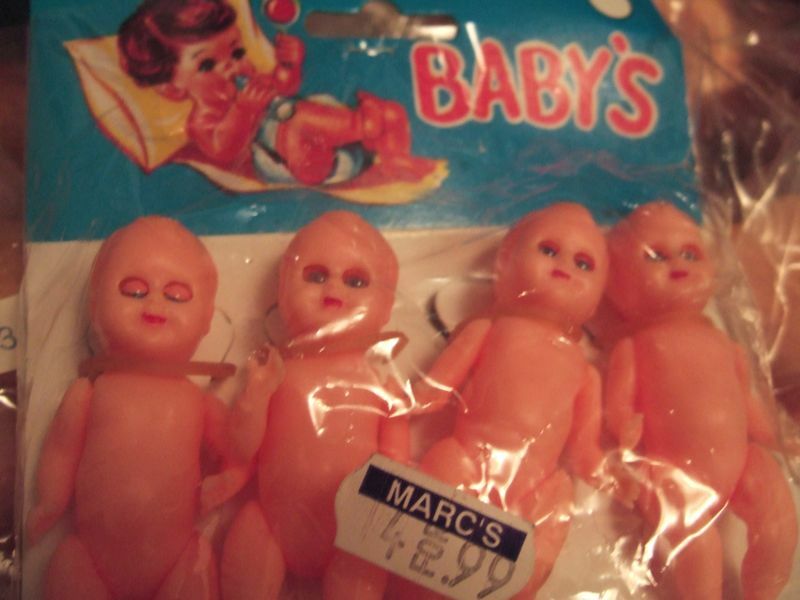 Yesterday I went into one of Ohio’s random gems — Marc’s. This is a store like no other; it is part grocery, part general store. They do not accept credit cards to keep the prices down (and they do just that) and the check-out lanes are hopelessly low-tech and wondrous. I think the old-school scanners were recently installed since my last memory of a Marc’s checkout about a year ago. Last I remember, the cashiers manually entered the prices of each item into the cash register. 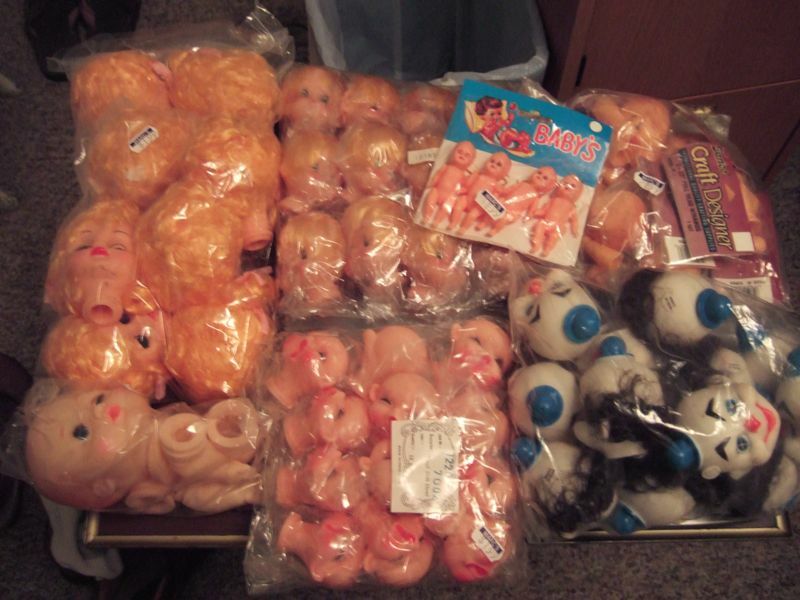 For a mere $10.09, I got oodles of doll heads and parts, even one little bag (the last one or I would have bought more of these) of little “Baby’s” as they are labelled in retro printing. 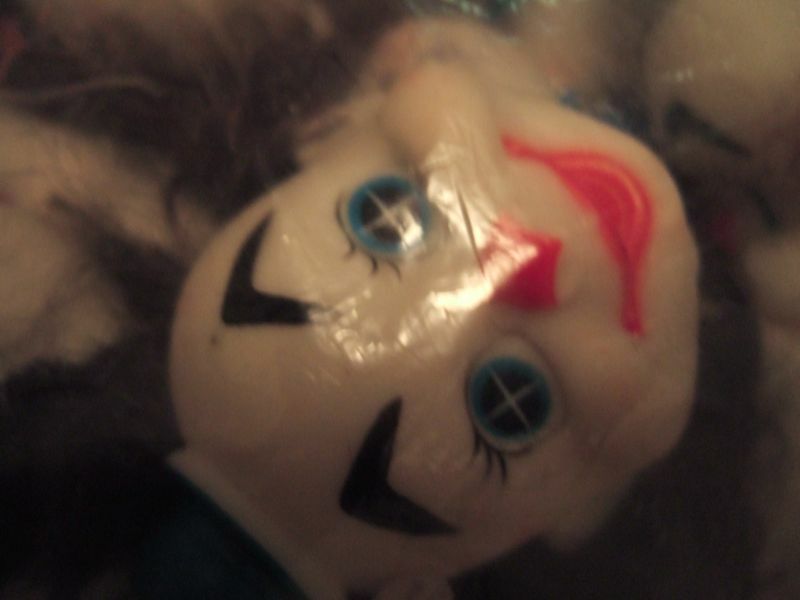 They had different styles of clown doll heads, but I got the ones that were the least and most creepy at the same time … hard to explain my method in this. I am a gal on a tight budget as well as a hopelessly driven artist and doll-lover. I was delighted to covet so many of these gals for such a low price. The plan now is, naturally, art. Photographs are in the works with these as well as drawings. I desire also to bring in another domestic art attached to the feminine in addition to the nod to doll-making … embroidery. Still working this out, but I am imagining something like this: Judy Chicago meets Tracey Emin meets Hans Bellmer meets Louise Bourgeois … that list will likely grow as far as influences. A performance piece may also result. 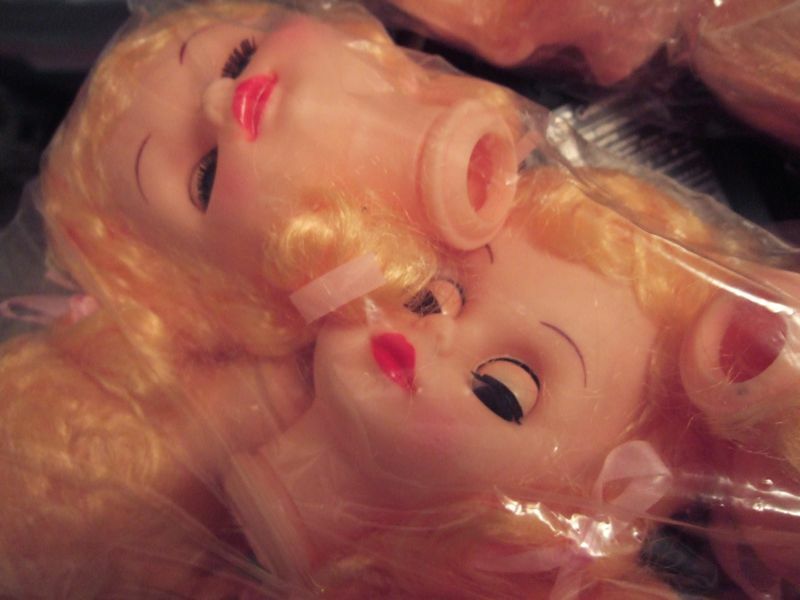 Dolls in plastic beckon voyeurism, asphyxiation, claustrophobia, and an objectified loneliness I believe may be most deeply felt, understood, and experienced by women. Dolls were created in our image as toys. Dolls train little girls to be mothers, attentive mothers, so attentive in fact that they may lose opportunities to find the deep parts of themselves. Or perhaps dolls act as strange little mirrors of ourselves, teaching us something mysterious and silent. I will be working through these issues more in the coming weeks in getting to know these little mounds of plastic joy … and I will be reporting here. Stay tuned, voyeurs and lovers of inanimate joys.